Dewayne "Moddy" Harris, age 58, of LaFayette, Georgia, passed away Saturday, February 9, 2019 at a local hospital. 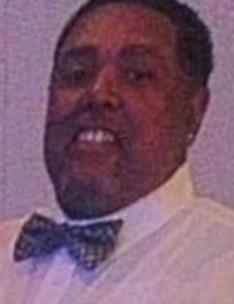 He was a member of Prospect Missionary Baptist Church and a graduate of LaFayette High School. Moddy had a love for cooking, drag racing, and his church. He was preceded in death by his father, Ozzie Harris, Sr.; and brothers, Roger Madden and Kenneth Madden. He is survived his wife, Stephanie Ware Harris; daughter, Ashley Harris; son, Brandon (Macon) Harris; grandchildren, Chandler Harris, Gabriel Harris, Zyione Harris, Kaiden Whatley, Kingsley Whatley, Albany Harris, London Harris, Bentley Harris, and Makai Harris; mother, Geneva Jennings, a devoted aunt/“mother,” Lula Mae Madden; sisters, Arlene Reid, Nicole Harris; brothers, Ozzie Lee Harris, Jr., Jeffery Harris, Anthony Harris, Anthony Madden, and Cardus Madden; and a host of aunts, uncles, nieces, nephews, cousins, other relatives, and friends. A funeral service will be held on Saturday, Feb. 16, at noon at Prospect Missionary Baptist Church, 194 Prospect Church Road, LaFayette, Georgia 30728, with Pastor Scott Copeland and other ministers officiating. His family will receive friends at the church one hour before the service. Please share your thoughts and memories of Dewayne “Moddy” Harris at www.willisfuneralhomedalton.com. Arrangements are by Willis Funeral Home, Inc., Dalton, Georgia.